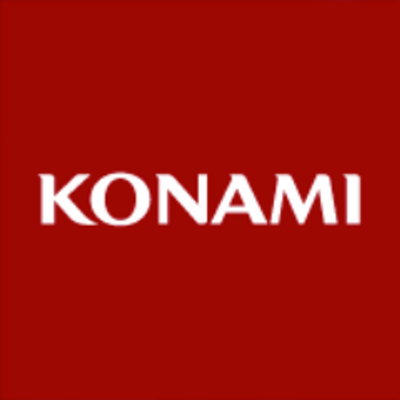 Konami releases the two legendary titles together in one collection on PS4 for the first time. Both games are the originals emulated for the PlayStation 4, with several updates that take advantage of the new hardware. This includes 4K/1080p upscaling, multiple high resolution backgrounds, different rendering options such as smoothing and full Trophy support. Word of warning though, that Platinum will be tough to get. Elsewhere, Requiem will make use of the DualShock 4’s vibration, analog stick and speaker, with the latter meaning you’ll hear a cool little chime when you pick up an item. Good news! You can pre-order Castlevania Requiem: Symphony of the Night & Rondo of Blood now on the PlayStation Store. Sooo when is the playstation store updating? Im looking for the game and the pre order is not there yet also when is resonance of fate gonna go up to be availble to pre order as well? Need to wait one more month (October 26th). The PlayStation Store doesn’t make all games available for pre-order in advance. Some won’t show up at all until release day. The post says the games are available for preorder NOW. That’s why DeatHGaze is asking about them. The store usually doesn’t update til around noon eastern time. If it’s going to be there today it’ll be another 2 and a half hours. cusman@ I don’t know if you live in the states but that never happens if you do. You must don’t buy things often on the store from your comment. The store is normally updated in the afternoon not sure the time though. So be patient its not like you get anything special for pre-ordering anyway Lol. I never got to finish sotn back in the day, i’m Looking forward to completing it this time. Will each game have a separate trophy list ? I would like to know this as well, I would love to get a SOTN platinum trophy! Buying this as soon as preorders are up. 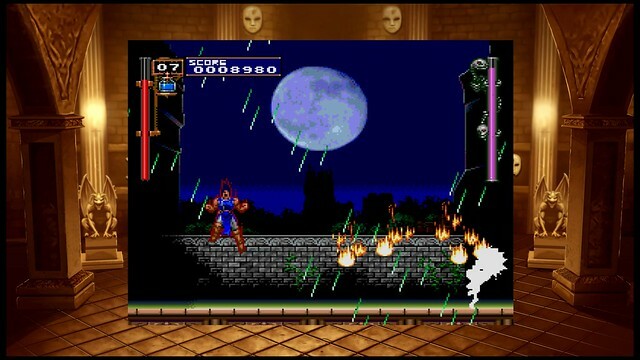 Probably too late to ask for this, but it would be nice to have the extras from the Saturn version of SotN, and wide screen support (I know it’s a lot of work, but the game deserves all the enhancements it can get). As a huge fan of the series, any chance of having more collections? Bloodlines never got a re-release and it certainly deserves one, along with Castlevania 3. Aria and Dawn of Sorrow are some of the best entries, and a LoS remastered collection would be nice too. I hope the love gets extended to some of your other franchises, like Contra, Suikoden and Vandal Hearts. I would love to get the Saturn features too! I’d like a physical release as well. On the bright side though, the games are so small in size they’ll be permanently installed on my PS4’s hard drive. I wonder why they are doing this instead of remastering Dracula X Chronicles. There we had a remake of Rondo (which is amazing and better than the original), in addition to a modified SOTN (including Maria as a character) and the original Rondo. Seems like a much better package. 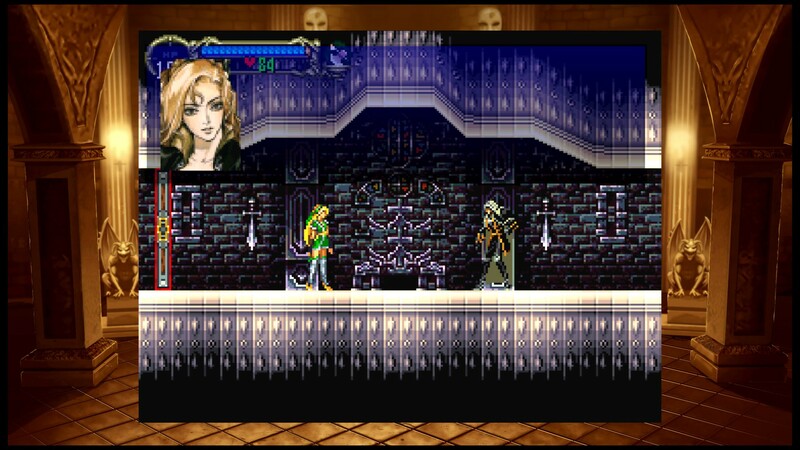 ……you can use Maria in SOTN. You have to enter a certain name. @GaMeR_bOi_83, not in the PS1 version of the game. She was originally going to be added, but got cut for time. They included a version of her in the Saturn version of the game and later added a different version of her in Dracula X Chronicles like StalkerD said. Dracula X Chronicles also adds the previously Japanese-only familiars, Maria as a boss, and redone voice acting and an updated script to match the Rondo of Blood remake. Most people probably don’t actually want to have to slog through hours and hours of tracking down every collectible in a not that great remake just to unlock the 2 games they actually want to play, especially for a badly redubbed version of Symphony. Nothing would stop them from remastering the game and allowing SOTN and original Rondo to be selected from the start, from the menu, instead of being unlocked in the Rondo remake. They just opted for the laziest path possible to sell this. a Dracula X Chronicles remastered would certainly be more valuable. The game is currently only playable on the PSP and PSV. Could be nice for gamers to have a chance to check out the beautiful remake, in addition to SOTN and the original Rondo. @Ralstonizer, I think you’ve forgotten how you unlock SotN and the original RoB in Dracula X Chronicles. You don’t have to track down a bunch of collectibles. Icons that unlock the games are just sitting there in early stages. It takes minutes of normal gameplay, not hours of slogging. SoTN is my favorite game of all time. I can’t wait to hear that sweet sweet music again! It says available for pre-order but it’s not in the store. When will it be there? Cool that SOTN is finally on PS4, I would have liked if they added Maria as a playable character, boss fight with Maria with the hoyl glasses, and the two extra familiars from the PSP version. Does Symphony of the Night include all the Sega Saturn content? Because if it doesn’t this is a hard pass for me, I’ll just stick to Dracula X Chronicles. I would like to know this, and if they will have separate trophy lists for the two games. That version doesn’t have all the Saturn content either. Now what are you gonna do? The Maria mode and Familiars make the Chronicles version superior. If they dont use that version, not interested. Hopefully this leads to a full collection at some point in the future. I would give them all my money! There’s not much that would make me happier than a proper Castlevania collection. Sony and Konami, please. PLEASE. Release day is the same day as Castlevania season 2 on Netflix. Smart! I CAN’T DO BOTH AT THE SAME TIME! It’s great though! I was thinking this game would be perfect for the PS1 classic, seeing how the art aged well and the game is highly repayable. I guess it does not hurt to have it on both platforms. Also, the PSP version could use a remaster. Heck, a lot of PSP games could use a remaster, I’m surprised we don’t see more of them. The reason they haven’t announced the full game list is because people wouldn’t buy this digital release if they knew SotN would be available on the PSX mini. Probably applies to some other PSX digital releases as well. There’s no other reason for them to be so withholding about the game list. Sorry OOT, is there any chance Castlevania The Dracula X Chronicles english version will be released on SEA PSN store? Probably if this sells well. Yes please. To me, this is a much more exciting announcement than cross-play. Which translation is Symphony using? Why is this not the Dracula X Chronicles versions? This makes very little sense, tbh. I’m still sore about Silent Hills though. There is no “right to be able to purchase physical copies of video games” in any place on Earth. You sound like an absolute nutjob. @Ralstonizer And you sound like an anti-consumer fascist. You’re both right. Digital-only games take away the option to resell, making first-hand purchases the only way of getting content. They’ve turned games into content that you’re licensed to play rather than actual property. On the other hand, companies can put out content however they choose, and of course they’re going to choose the option that makes them more money. Physical games are on their way out, and there’s nothing we can do. Will this version have both the re-dub from the psp version and original dub? Seconded. I’m still mad at Konami, but if we can choose between the remastered Dracula X Chronicles voices and the incredible PS1 originals, it’ll help me feel better about all the great franchises reduced to pachinko machines. And you sound like an anti-consumer fascist. The voice acting on the PSX version is considered good? Not by my ears. What if you already bought it as a PSOne Classic for the PS3? Can we get a discount? Or better yet, PSOne Classic support. Konami bringing Catlevania to the masses should make me happy…but I can’t help but think, why not the remastered Dracula X Chronicles? The improved VO on Symphony was great! The overall remaster of Rondo was great! I’m with the other as well in the hopes of a full Castlevania Collection one of these days. I’d love to jump back into the PS2/PS3 classics, as well as the originals across the numerous platforms they released on. It works for Capcom, why not Konami? Release them across several volumes. I’d love to play the classic GBA releases on a console too! Thank you Konami and Sony! if the Dracula X Chronicles version of symphony is whats being used, then maybe. Im still pissed at Konami for dumping ZOE3 and being a generally bad company. Already bought Dracula X Chronicles for PSP, and SOTN for Ps2, … so not even a discount for th PS4?? Do I have to pay for it again? I still own my original PS1 disc… It’s an original (Non Greatest Hits) retail version. Literally one of the best games ever created! “Word of warning though, that Platinum will be tough to get.” Why? What’s going to make it hard, and why would you go out of your way to make it super hard? Don’t put speedrun trophies in a game that’s meant to be explored. Just because they said it will be “tough” to get the platinum doesn’t mean speed run. Everyone is different and sure it may be tough for some it will almost certainly be easy to get for others. I personally agree and hope to god there isn’t a speed run related trophy. If I had to guess the hardest trophy will be related to unlocking the full map/getting over a 200% game completion and/or getting all the familiar cards and leveling them up. I mean this game has only had trophies once it all the different iterations through the years and that was on the Xbox Live – 360 version.. It has 8 basic achievements and the hardest one I believe was casting all 8 different spells that Alucard can cast and beating Dracula in the “opening” battle without getting hit. So yeah just for the simple fact that this is coming to PS4 with a FULL TROPHY LIST is incredible news!! I’m going to do whatever I can to platinum this game even if it has a speed run related trophy. My bad.. There is actually 12 achievements on the Xbox Live/360 version of SOTN. You’re right that it doesn’t mean speedrun trophies will be in it. I meant what you said, I really hope they’re not there. To me, that’s the only thing that would make this hard and unenjoyable. So you decided not to remaster the superior Dracula X Chronicles AND not make a physical copy? I’ll be passing then. Thank you! PlayStation is the best! Now we need Bluepoint to announce there remaking Metal Gear Solid. That is nothing less than awesome, Symphony of the Night is one of my favourite games of all time. Since Final Fantasy VII hit PS4 in 2015 I’ve always thought how great would it be if we also get symphony of the night, this is a dream coming true. 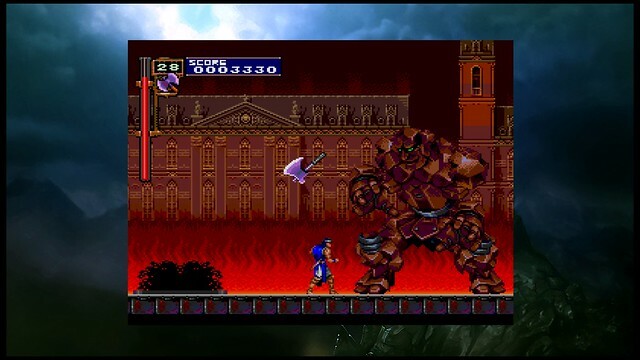 Love SOTN, but that scaling size is way too small. I guess I’ll wait for a true widescreen HD remake/remaster. Castlevania Curse of Darkness and Castlevania Lament of Innocence HD collection next please. this is all well and good, but it feels like another lazy grab for cash by Konami. Why not finally release the saturns version with the two secret areas that weren’t available in the US? It’s definitely a start in the right direction. I hope to see more Castlevania collections in the future for the PS4. I also hope Sony and Konami can help to make remaster or direct ports of Silent Hill 2 through 4 for the PS4 (with the help of Bluepoint), a Silent Hill 1 remake and a new Silent Hill game for the PS4. Wishful thinking, I know, but a man can dream. I would love to see a Castlevania collection, have it include SOTN, Curse of Darkness, Order of Ecclesia, Dawn of sorrow and a bunch of others. I’d buy it for me and then again as a gift for a friend. Please sell them separatedly too, I want each game to have its own trophy list. And amazing that you added the Platinum, I’m still amazed Sonic Mania didn’t get it. Now for the most important part, if you can release Square and Konami PS1 games on PS4 with trophy support, you can add your own The Legend of Dragoon too, give it a platinum, and make myself the happiest man alive. I’m still waiting for a Remake too, but you can save that for the PS5 to make it shine in full 4K glory and show FF7 again who is the best! Will Rondo of Blood be presented in Japanese or translated to English? Great news! Wish they would have remastered the PSP version with all its content and unlockables, but its still a great deal . Specially if you havent played both games before. 2018 and the next few years is being the “golden age” for PlayStation 4. God of War, Spider-Man, Resident Evil 2, The Last of Us II and now Castlevania Symphony of the Night. Okay that’s not a new game, but it’s a must-have classic on all future generations of consoles. At first I was even disappointed that it had no Castlevania title for PS4. And now you have. These news are compensated for the periods of 2013 to 2016 – disastrous period. Is SOTN the PS or Saturn version? Because the Saturn version is superior imo, It lets you pick from 3 different characters and there’s a few more music tracks included in the soundtrack. can i get it for psvita also? You can… just search PSN for Dracula X Chronicles, it’s Vita compatible and contains both games. thanks for sharing i really like this game. i was planning to play it but i could able to get the game in the near store. I have seen the review of the game on this website https://techboxs.org/. I was keen on buying it but available seems to be lacking. i hope this will come to normal soon.